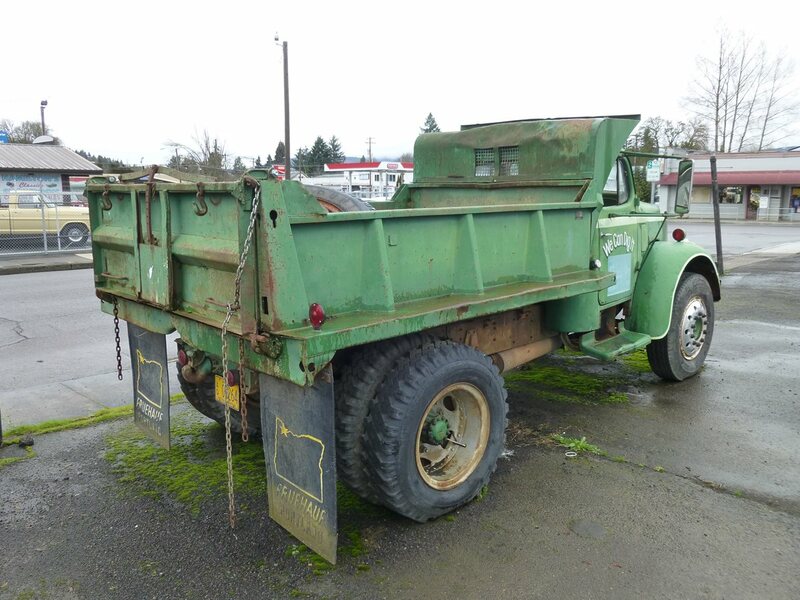 Yes, I like dump trucks, especially of about this vintage and size. Just the ting to haul some gravel or a really big load of compost, or with which to pull a rented excavator. And they look so good, especially a vintage Reo. I can Dig It. I shot this in Cottage Grove last February, a bit south of Eugene. In doing some research on these just now, it turns out to have been for sale. Good thing I didn’t know that then. I might well have bought it on the spot, slipped behind the wheel and had Stephanie follow me home; a bit slowly, undoubtedly. Love that two-tone dash. Even Stephanie agreed. 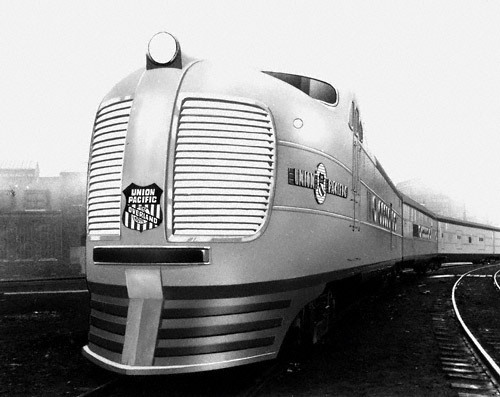 This major redesign first appeared in 1941, and it’s always been one of my favorites. It’s a got a bit of a forward cant, not unlike the 1940 Graham shark-nose. Reo used this for some time well into the fifties, including the legendary Reo Speewagon pickup, which I also found and wrote up here. It was called “Moreload”, as it shifted the cab a bit forward, leaving more room for the payload. I love it when there’s no question as to what model an old vehicle is; makes the research so much easier. Let’s lift the hood and check out the legendary “Gold Comet” engine. If I got it right, it had 331 cubic inches and 128 hp. That should get me down the highway at about 50-55, depending on the gearing. No doubt about it being a Gold Comet. I do wonder if that’s the original carb; looks a wee bit too modern. Looks like it’s tuned up and ready to work. An alternator has replaced the old generator; good call. They might have taken the paper label off the radiator hose before clamping it; bad form. This is a Gar Wood three-yard dump bed, just about right for my use. Except of course that I’ve sworn off building anymore new houses. Oh well; I could have really used it back in 1997. But I can still dig it, eh? How about you? This old girl is hitting a lot of the right notes with me. My appreciation for trucks has grown considerably the last four to five years and this one is a real sweetie. I’d say she’s good for another sixty odd years! This kind of trucks (re)built the country after WW2. Off-road specialists Ginaf and Terberg used GMC and REO 6×6 military trucks to build their dump trucks. 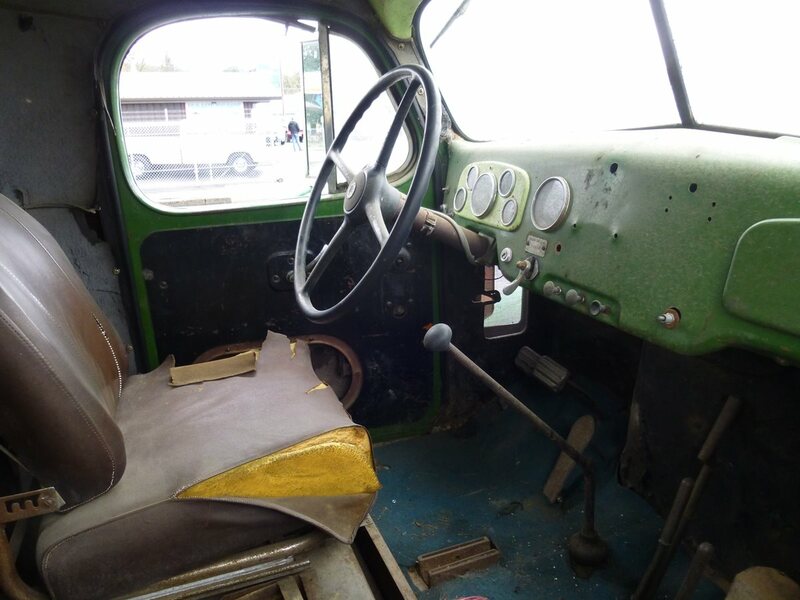 The trucks got a steel cab, a diesel engine swap and (obviously) a dump bed. So these trucks were in fact the starting point of Ginaf’s and Terberg’s current 10×4 and 10×8 dump trucks with a 110,000 lbs GVW rating. 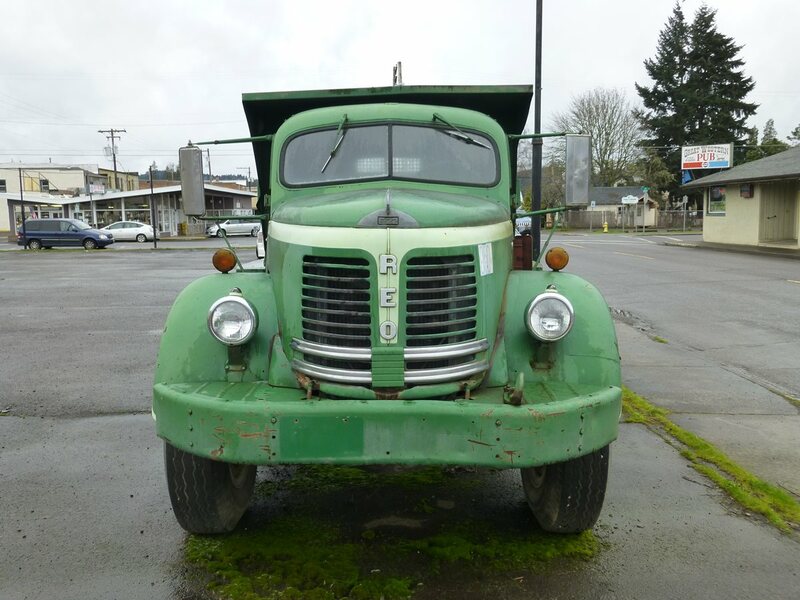 I’m talking to my Father right now, who used to drive a REO truck when he was in the Army, assigned to Germany in the early 50’s (1950-1952 or so). 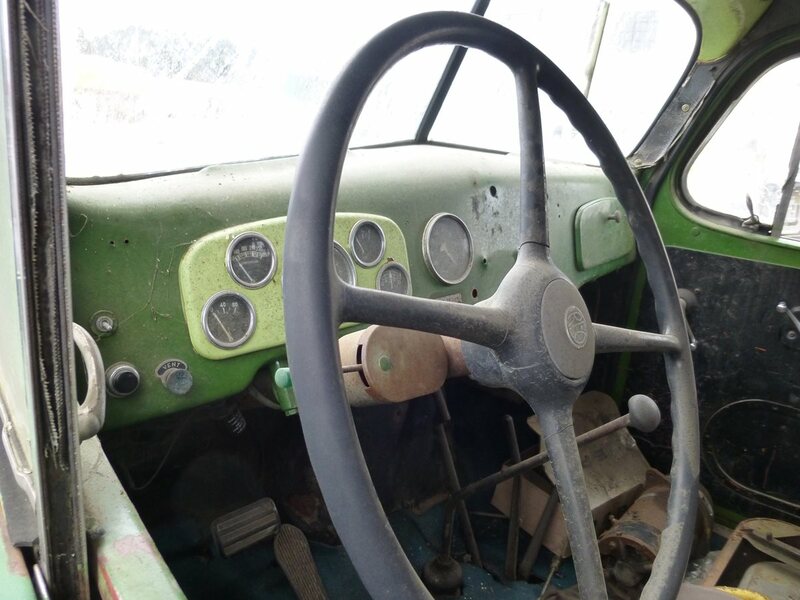 What he remembers is that the trucks had automatic transmissions, but they were in the shop a lot. He also remembers taking a chance and doing the deal where they attached their canned rations to the exhaust manifold during the winter (to heat them up of course)…the problem was, they didn’t get to pick where they stopped, and you guessed it, they went too long between stops and the cans exploded, along with their contents (beans, I would guess) all over the engine. They found out about it of course and my Dad had to clean up the mess from the engine compartment…maybe that’s part of the reason they were in the shop a lot? Didn’t REO stand for “Ransom E Olds” the founder of Oldsmobile? Wonder if GMC made similar trucks at the time? Zwep, here’s a link to the history of truck builder Ginaf. The text is all Dutch but there are a lot of pictures of their older trucks. Ginaf used GMC and REO military trucks, the “small REO” was the M34 military truck and the “big REO” was based on the Diamond T M52 chassis. Ginaf learned that the REO chassis were more heavy-duty than the GMC chassis, so from that moment on they only used the small and big REO trucks. A diesel engine swap was pretty much standard procedure, mostly a Leyland-DAF engine, ordered directly from the DAF factory. I remember those 6×6 trucks with the evident military roots very well, they drove around way into the seventies. My New York State Class D License does not let me drive vehicles with a GVW over 26,002 Lbs and/or with air brakes. Cool truck, but why does the Intake Manifold say Gold Comet and is that German on the mudflaps? I love how moss grows everywhere in Pacific Northwest, makes the place much greener and since I am a renter I do not have to worry about the damage as much. The mud flaps say FRUEHAUF, it’s a trailer manufacturer. I still see Domet Fruehauf on Trailers here truck bodies and trailers. Thats because Fruehauf NZ is still in bussness. Love it, the inlet manifold says Gold Comet so is that more powerfull doesnt matter Ive driven petrol Bedfords with less hp and they work just fine not quickly but road speed is not a primary concern with such vehicles especially laden, yeah you shoulda bought this old yella would be thanking you as would your back a tipper saves a lot of shovel work. Yes, that is a Gold Comet. The author probably got it confused with the Continental Red Seal, a popular truck/industrial engine of the same time period. 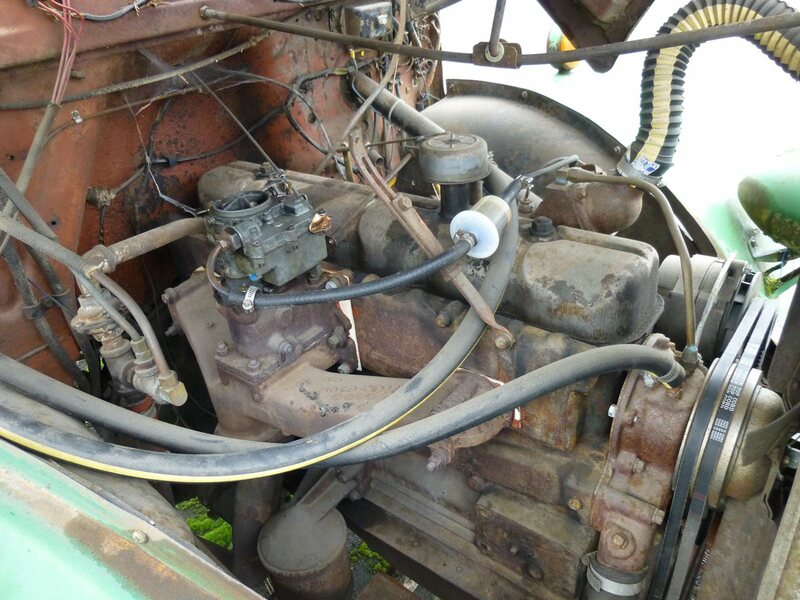 REO was noted for their well designed OHV engines, in fact White bought REO out in the late 50’s primarily to use REO’s engines to replace the ancient flathead 6’s in their own trucks. REO even developed a very modern (and large) OHV V-8 in the mid-50’s. No mention of where the ‘REO; name came from? None other than the initials of one Ransom Eli Olds, early automotive pioneer and founder of Oldsmobile. After Olds sold out to GM, he started REO as an independent manufacturer of trucks and luxury cars. The cars were discontinued in the early 30’s, but REO continued on as a truck manufacturer in Lansing MI., a short distance from Oldsmobile. Sometimes I amaze myself: writing “Red Comet” while looking at that manifold with “Gold Comet” on it. Fixed now. Olds was actually forced out several years before the sale to GM, and started REO in 1905. I’ve always liked vintage dump trucks. I’ve never seen or heard of an REO before. You must have heard of REO de Janeiro. REO De Janeiro? Or is it Rio De Janeiro? That I have heard of. Country Group “Diamond Rio” went with “Rio” to avoid the copyright infringement with “Diamond REO” but apparent REO Speedwagon had no legal issues with their name. If this truck was for sale, what was the asking price? What should one of these go for? It is an intriguing design, absolutely eye catching. Certainly cooler than having a 20 or 30 year old F-150 for trips to the nursery section at Lowes. My neighbors would love to see it parked on the street in front of my home and I know just exactly where I would position it. This truck must have had a lot of torque but with a gas engine, how? Gearing alone? Comments, please? I think he was asking about $6k. Really big trucks in the US used to mostly all have gas engines, and some gas engines into the 60s. A naturally aspirated diesel doesn’t make more torque than a comparable sized gas engine; in fact the opposite is true: the Olds 350 V8 made 275 ft.lbs as a gas engine; 205/220 ft.lbs as a diesel. Forced induction of course can drastically increase the torque and hp of either gas and diesel engines, but not many US truck diesels had turbos until well into the seventies. In fact, back in the 40s-50s, gas engines were preferred by truckers for their greater torque and speed, and some truck firms out west kept using them, like the legendary Hall-Scott gas engines, because they cut down times on long runs, although of course they were less efficient. 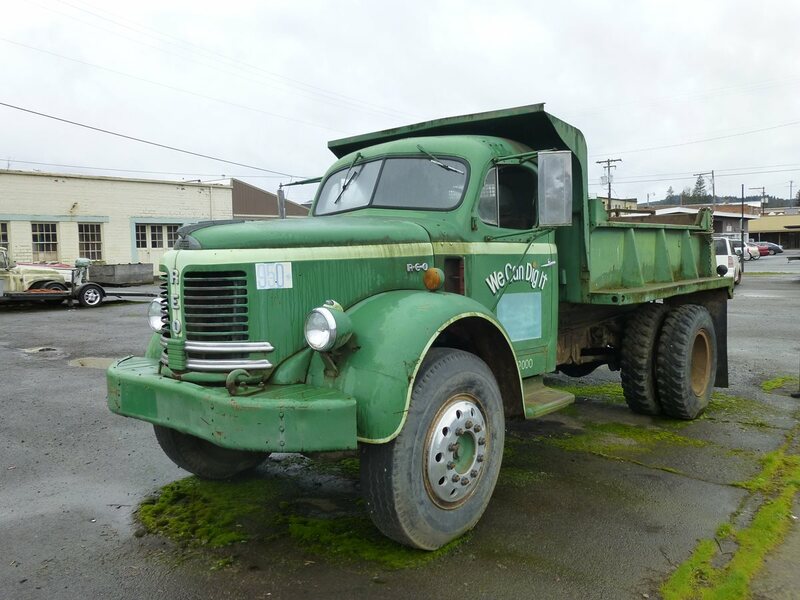 Diesel engines in mid-size trucks like this were almost unheard of until well into the sixties. 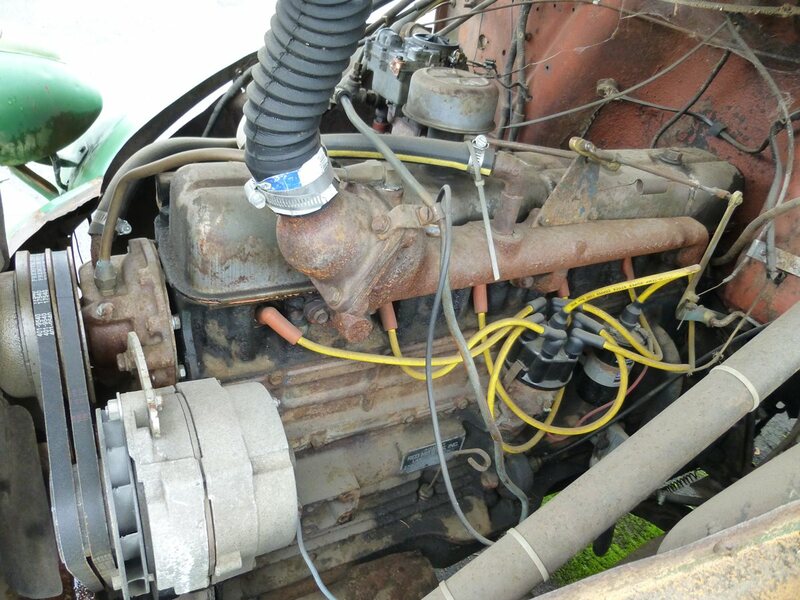 There almost weren’t any smaller sized diesel engines, except for the Detroit Diesel 4-53. Very true. The Hall Scott soldiered on for some years after it fell from favor with western long haul drivers, as it was also a popular engine for fire apparatus. Easy starting and quick acceleration endeared them to many fire departments. I believe the last examples were built in 1970. The rise of Mr. Clessie Lyle Cummins or were there other causes ? Coming from a vehicle repair background and still involved in transportation business, it’s easy to see why gas engines lasted as long as they did. They were much easier to drive since they had much greater powerband. A Chevy 366 big block made good torque right off idle to 3000 rpm. A Screamin’ Jimmy had a powerband of like 1000 rpm, so there was lots of shifting and speed variations. These REO engines were famous for being over engineered and strong. Most gas heavy truck engines could take just massive abuse and could literally be fixed with coat hangers. Total idiots could, and often did, wrench on them and they’d even still run most of the time. With any kid of service, a big block Chevy gas motor was pretty much unkillable. Fords and Internationals were almost as good. I can’t ever remember back in those days anyone complaining of engine failures on these big gas motors, unlike these days when engine failures are a lot more common than the car makers would like to admit. These were good trucks but not fast ones. A Chevy 366 Big Block dump with three yard box could maybe hit 80 km/h loaded on a flat road. All the ones I drove had no power steering or brakes and had a two-speed rear end. They were about as simple as a vehicle could be, and very intentionally so, the truck was designed for payload costs. Driving one for a day in and out of job sites, dumping fill, top soil, gravel and the like, was like being beaten up by Mike Tyson. But in those days it was all young farm boys bombing around in these things and we usually made pretty good money doing it! There is no way these trucks could be on today’s roads. The brakes are simply not up to standard and they would have a hard time keeping up with traffic. Modern trucks are all common rail and high techy things and they really do use a lot less fuel than the old gas stuff. The trucks are much easier to drive, often automatic, more comfortable and result in fewer insurance claims. All wheel disk brakes, ABS, traction control and stability control are a real boon for safety. 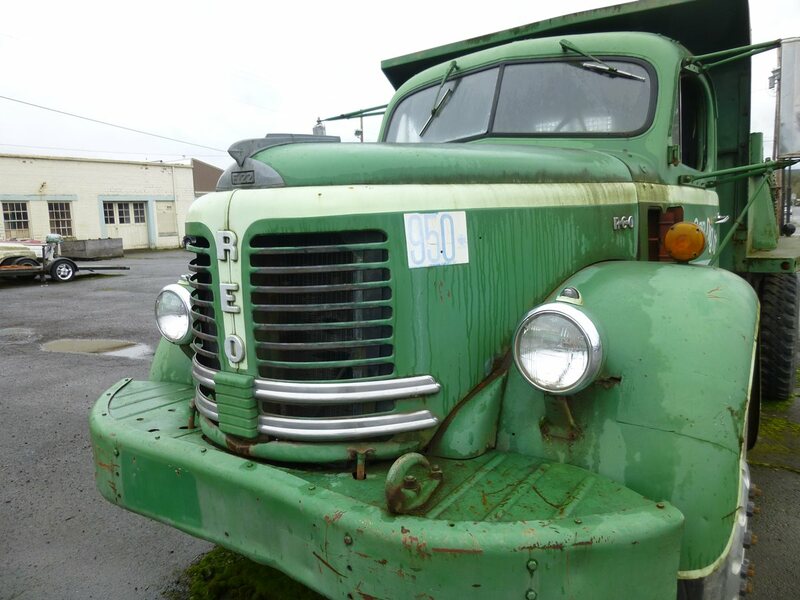 But if you lived out in the boonies and needed a truck to move stuff around during harvest time, this old REO would fit the bill nicely. Or a vintage Chevy C60! In reality, it was for sale on craigslist intermittently for over a year, for I think it was $3,000. I think I remember that it needed some brake work? It was surely a fair price– maybe it changed owner or upped the price? Not cheap to move it any significant distance, tho. Nice truck. I most definitely dig it. 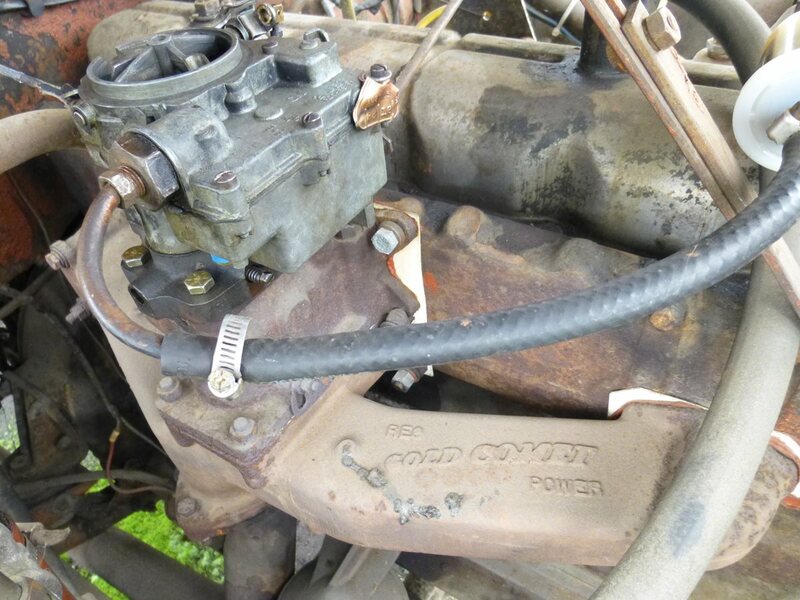 Ahh the Rochester 2-jet carburetor, I think it debuted in 1955, and finally was phased out in 1980. I’ve rebuilt a few of them, but the larger later ones, not the smaller earlier ones like the one on this one. 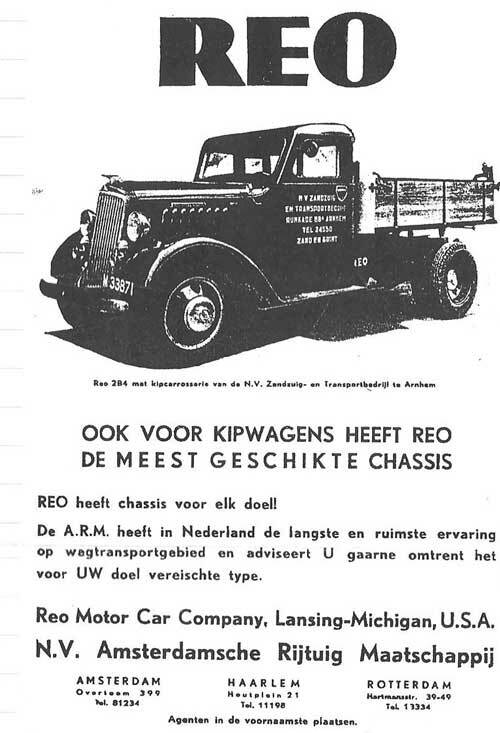 I found this 1935 Dutch ad showing a REO dump truck. American gasoline trucks were very common and popular here before WW2. After the war they disappeared very quickly, only Mack and International did hold on much longer. Both truckmakers had assembly plants here and did come with diesel engines. If I saw that front end coming up behind me in the rear view mirror, I’d feel like Dennis Weaver in “Duel”. The steps in the bumper must be great for easy access to the engine compartment. 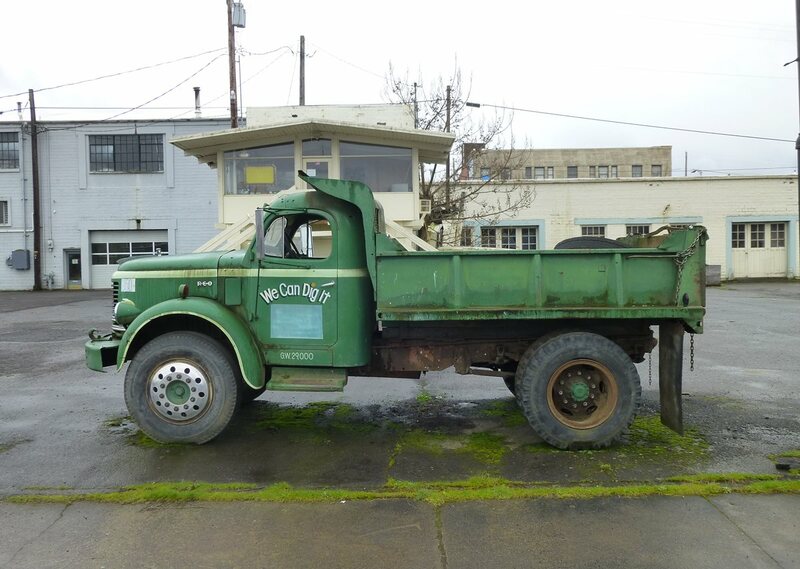 Fantastic old truck; love the lines, the way the two-tone falls along body contours, and the “WE CAN DIG IT” livery. It’s a shame you don’t see more vintage heavy trucks on the roads as they are invariably fascinating. Is that a 60’s International pickup in the background of the first shot? 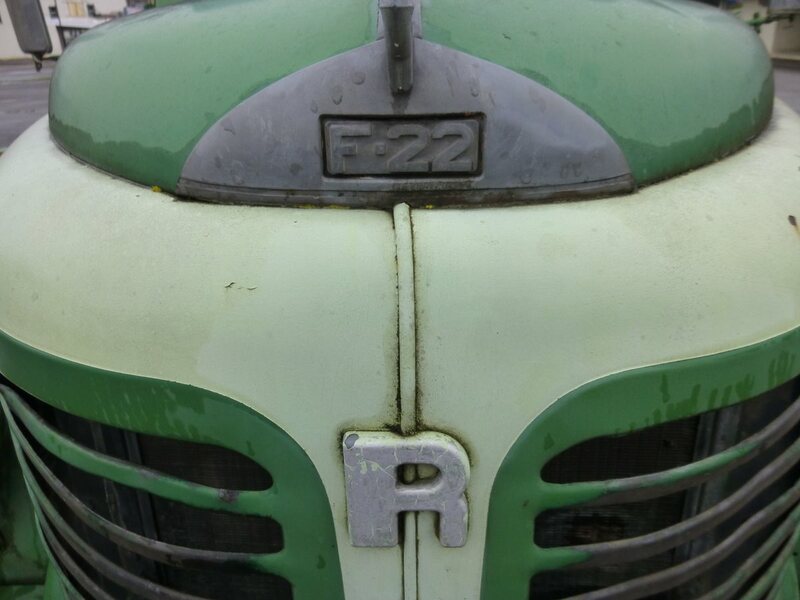 Here is a REO that is for sale. Not a dump truck, but could be converted. 1952 REO E-20 @ collector car ads.